The casino was first established in 2014 and is under the management of Nektan Limited Casinos. The casino has also been licensed by The United Kingdom Gambling Commission and Gibraltar Gambling Commission. The casino offers a variety of casino games, offering bonuses and promotions to loyal clients and it also offers an efficient customer support. The casino offers an amazing casino experience by ensuring that every players’ preference is guaranteed at the casino. Players get to enjoy over 100 classic slot games, the casino also offers players customer support via phone and email by a well-trained support who are available 24/7. 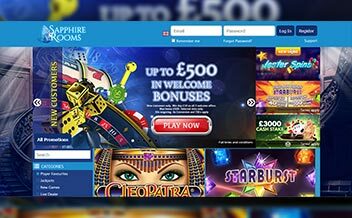 The casino offers a welcome bonus of 200% up to £50. The maximum bonus amount is £50 and the minimum deposit amount is £10. This bonus attracts a wagering requirement of 30x which should be met before making withdrawals. This bonus is cashable and players only get 4x of the bonus. The casino also offers players 50 free spins on Starburst, the value of each spin is 0.1 and the maximum bet allowed is 50% of the bonus amount, the wagering requirement on this free spins is 30x. The casino has also been not left behind as it offers players an opportunity to play at the casino and make a payday out of it. 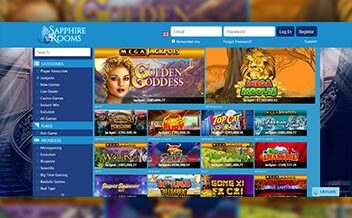 The progressive jackpots available include Golden goddess, The Pig Wizard, Vikings of Fortune and Isle of Plenty among others. Players get access to over 200 slot games, the slot games are provided by famous gaming providers like NetEnt and NextGen. The slot games available include: Cave Raiders, Eye of the Dragon, Miss Midas, Cleopatra, and Foxin’ Wins among others. The casino has also diversified and it offers players an opportunity to enjoy an actual casino experience by interacting with the live dealers. They include Blackjack Silver, Dream Catcher, Speed Roulette, and Baccarat Squeeze among others. 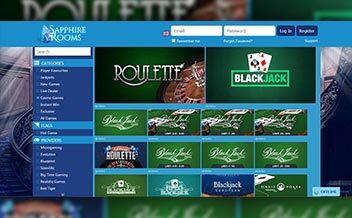 Sapphire Rooms has been powered by non-other than the famous Microgaming company. The slot games provided have been designed to have amazing themes to make the gaming experience adventurous. Other software providers include NetEnt, Nektan, Aristocrat, Realistic Games, Nyx Interactive, Core Gaming and Lightning Box. The United States, Australia, Bulgaria, Spain, Italy, Iraq, Belgium, Cuba, Virgin Islands, and China among others. Maestro, MasterCard, Visa, Neteller, Paysafe Card, Solo, Ukash, Skrill. The casino is accessible on a number of platforms. The mobile version of the casino is quite impressive and the graphics used are amazing. Players do not have to download an app to access the casino games, you only have to log into the site and be able to access the games. The casino is accessible on Chrome, Mozilla and Opera Mini. The casino has been in operation for over three years and throughout this time it has not had any bad reputation. 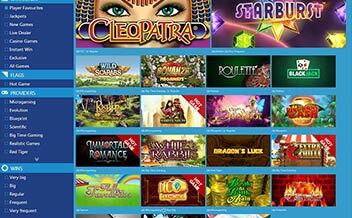 Offering a variety of casino games and promotions it is surely a casino worth checking out. But the terms of the casino have not been explained so well on the site and they should work on that.